Tired of all of your plants dying? Don’t want fake plastic plants? Try these digital photo frames mounted in pots. Display an ever changing beautiful flower garden and never have to water again. 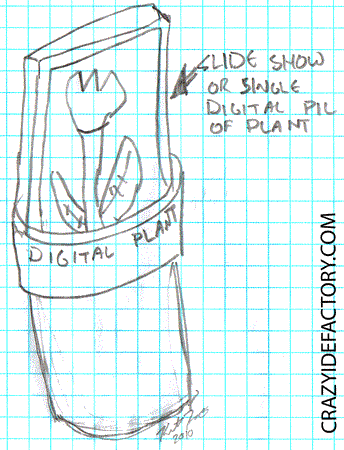 Would come preloaded with 100 assorted pictures of flowers if it actually existed. 2 Comments on "Never Water Again with Digital Plants"
Nice! Slap a solar panel on the back and you’ll make millions in Arizona. That’s a great idea Cognoramus, we should get on that.